I have two finishes that I have completed before 2010. 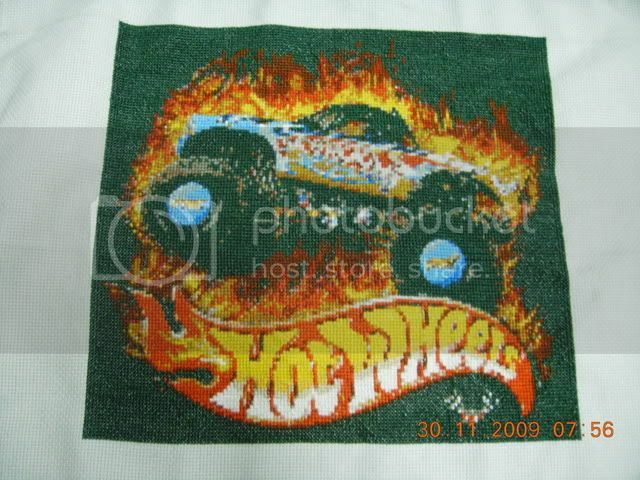 From 2008 is when I really got back in to Cross Stitching, and have not really stopped since. I may not have a lot of finishes but I have a lot of passion and love for every piece that I work on. Here are to of my past finishes. The first is a HotWheels Monster Truck that I did for my son. 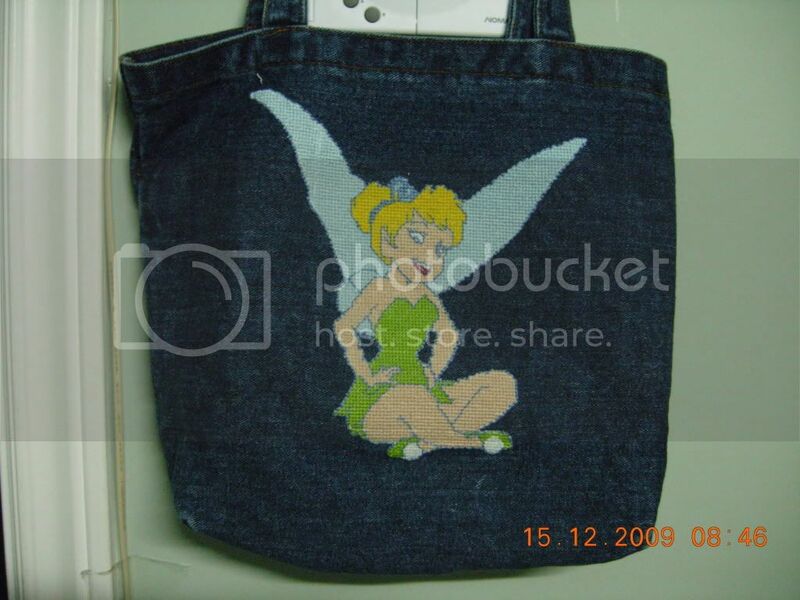 My next Finish I think was the following year for a friend how loves Tinkerbell. After that I found Heaven And Earth Designs, and started collecting more and more charts, and less finishes! I dont' mind, I love each and every chart I own! The hotweels design looks stunning! and the bag is so cute!